Silver Spring, Md. (Monday, June 18, 2018) – In an effort to spark a social movement against hatred in all forms, USC Shoah Foundation – The Institute for Visual History and Education – and Discovery Education, the leading provider of digital content and professional development for K-12 classrooms, today announced the winners of the 2018 IWitness Video Challenge. A group of Chicago, Ill. students have inspired their classmates and community to embrace each other’s unique differences, specifically as it relates to the challenges of American immigrant communities. This year’s first-place winners of the short video contest, which invited students to be inspired by testimony of survivors of genocides and mass atrocities to make a positive contribution to their communities, are FanXuan Peng, Israel Gomez, Jennifer Tegegne, and Yannie Wang of Northside College Preparatory High School (Chicago Public Schools). The team will be generously donating their $5,000 grand prize to Northside’s “DREAMers & Allies Club” to be put towards educational initiatives and programming related to immigration. 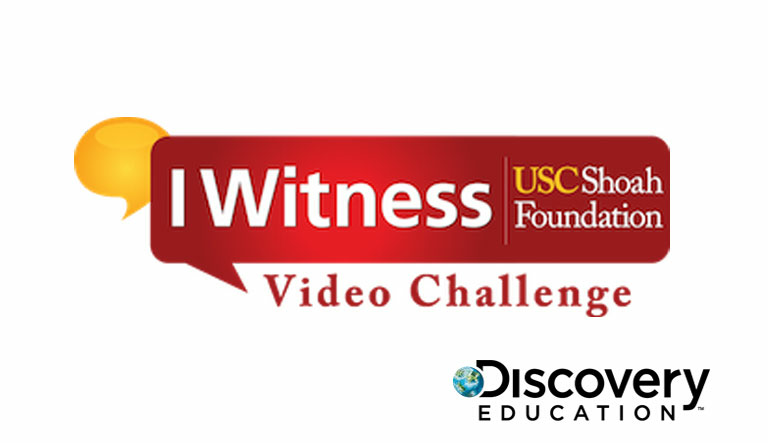 Initiated by USC Shoah Foundation in 2013 and designed to provide actionable ways to promote empathy and empowerment while also challenging bias and intolerance, the 2018 IWitness Video Challenge encouraged students to make a change in communities nationwide. To participate in the contest, students first listened to the testimonies of survivors and witnesses of genocide. They then completed a research-based and standards-aligned activity, which inspired the development of community action projects to counter hate. To enter the Challenge, students were required to document their experiences in video essays for submission. This year’s winning video essay starts with the testimonies of two Holocaust survivors, Herman Cohn and Liesl Loeb, who immigrated to the United States as children. After viewing the testimonies, FanXuan, Israel, Jennifer, and Yannie were inspired to create a project that brings awareness of the ongoing struggle immigrant students and their families face and tackles the important topic of discrimination in modern society. The winning “Stronger Than Hate” project showcases an “immigration timeline” that connects historical experiences of bias, intolerance, and marginalization from one community to another, with the overall goal of demonstrating how discrimination is a collective struggle rather than a personal one. The project ultimately underscores how impacted communities have managed to lead fulfilling and successful lives after migrating to the United States. This year’s contest – the fifth annual – offers prizes for scholarships and additional money for educators and schools. In all, $10,000 in prizes are being awarded courtesy of Ford Motor Co., which sponsors the event as part of its commitment to innovative educational outreach. The contest was open to middle and high school students across the U.S. and in Canada, with the exception of Quebec. Also helping to make this year’s challenge successful was the Institute’s partner Discovery Education, which administered the challenge and helped maximize reach, and impact through its deep partnerships with school systems, administrators and educators worldwide. In addition to splitting a $5,000 college scholarship, the winning students have secured a $2,500 grant for their school to be used to improve their community. Their teacher, Charles Milbert, will receive a $1,000 grant to help cultivate tolerance and empathy among the student body. A $1,000 scholarship went to second-place winners Anthony McArdle, Kristian Morris, Shawnee Cranfill, and Trenton Grace of Northern High School in Dillburg, Pa (Northern York County School District). Their “Northern High School Pen Pal Project” aided students in leveraging the power of the pen to celebrate each other’s similarities instead of one another’s differences. After uniting project participants, students felt more connected and enjoyed getting to know students they otherwise may not have met. A $500 scholarship also went to Bernadette Carney, Emma Foursha, Kiera Songhurst, and Rebecca Bornstein from Our Lady of Good Counsel School in Moorestown, N.J. for their project “Acceptance,” which encouraged students to anonymously reveal their struggles and work together to publicly accept and celebrate their differences. The contest is based on one the more than 200 activities found in IWitness, USC Shoah Foundation’s free educational website. The website brings the human stories from the Institute’s Visual History Archive – the world’s largest repository of testimony from survivors and witnesses to the Holocaust and other genocides – to teachers and their students via engaging multimedia learning activities. For more information, visit the IWitness Video Challenge website. USC Shoah Foundation — The Institute for Visual History and Education is dedicated to making audio- visual interviews with survivors and other witnesses of the Holocaust and other genocides, a compelling voice for education and action. The Institute’s current collection of 55,000 eyewitness testimonies contained within its Visual History Archive® preserves history as told by the people who lived it, and lived through it. Housed at the University of Southern California, within the Dana and David Dornsife College of Letters, Arts and Sciences, the Institute works with partners around the world to advance scholarship and research, to provide resources and online tools for educators, and to disseminate the testimonies for educational purposes.